LOGINventory has been used successfully by thousands of customers for many years. Read here why they have chosen LOGINventory, what LOGINventory is used for, and what experience they have gained during their use, or convince yourself directly of our renowned customer selection. Without accurate inventory, no reasonable license management. What used to count as "one device" - "one license" is now more complex than ever. Many software manufacturers use their own type of licensing. And over the years, the rules are constantly adapted and changed. Virtualization, number of processors, number of cores of processors are already standard today. Who knows what awaits us in the future. However, one thing is very likely - if it can be technically implemented - LOGINventory will be able to do this.Since 2016 we have been using LOGINventory - also in the area of license management - and are constantly amazed at the hidden information that the assets in our network deliver - as soon as the LOGINventory service (from the server and without agent installation) has scanned the network. Our MPLS-connected sites are also successfully scanned in this way. The software is constantly being further developed. Needs minimal resources (I don't need to get an Enterprise SQL Server to inventory first), is logically built and looks nice too! What more could you ask for? Right: Reasonable support when things get stuck. Even before the purchase, I was surprised at how quickly and competently people responded to questions. The support quality has not decreased even after the purchase. A ticket opened and in the shortest time you have a suitable answer, or directly by remote maintenance the correct clicks before eyes! That's the way it has to be - that's the way we want it. At some time, you get to the point when an IT network no longer can be manually managed or documented. LOGINventory delivers succint, compact information that I need for my support services. LOGINventory can be integrated quickly and easily. We use it to evaluate our hardware and software and for license inventory. Even the evaluation of which machine is located on which port of a switch is possible and helpful for us. Over the years many successful extensions have been implemented, which support us very much in evaluation. It was a very good decision to introduce LOGINventory. LOGINventory is a tool that can be integrated quickly and easily and that always keeps its finger on the pulse of time. This makes the network transparent even for "non-technicians". The software and support is very customer- and solution-oriented. 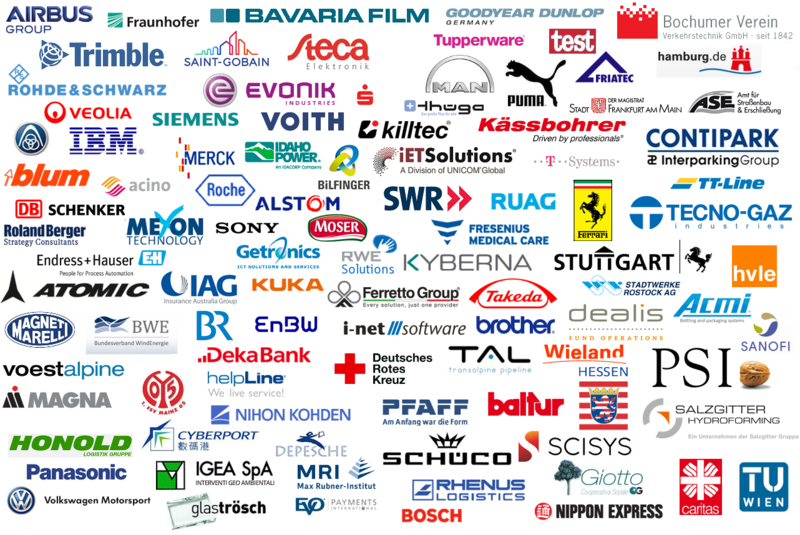 Unlimited recommendation of the software, for us the best tool for hardware & software inventory. What we really like about LOGINventory is how easy it is to configure, whether you want to access certain network segments or all AD clients and servers. In addition, it is very reliable and also functions reliably without great effort during operation and provides us with all the information that can be desired (by drilling down from the PC to the individual software or hotfix) for fast evaluations or information that is needed on a daily basis. With LOGINventory I find all data about our IT landscape immediately. Thus, we have all necessary information at hand very quickly. Loginventory is one of the most important software tools in our Support Center. Without the inventory of hardware and software as well as various query options, the numerous requirements of our employees would hardly be manageable. Whether, for example, computers with certain software versions are to be found, support staff must determine the computer name of the customer connected to the telephone, or IP addresses are to be determined on the network of connected workstations: Loginventory provides all required information quickly and reliably. I'm working as an IT-Manager in Trimble Solutions Corporation (formerly "Tekla Corporation"), based in Finland and I'm responsible for the internal Service Desk. We have used Loginventory for at least 10 years as one central tool to identify and inventory devices and software on our network. We use Loginventory primarily to find the "unknown" devices on our networks, as it is agent-less. Loginventory is used to capture information from systems we do not yet manage. LOGINventory has been in use at BW-Spielbanken GmbH & Co KG since version 4. The software belongs to the category: It just works! All tasks run very reliably. The software is also executed without an agent and is therefore available immediately after each installation. We use LOGINventory mainly for inventorying workstations and servers for a clear display of peripheral devices and for license management. The easy configuration of the software, even across several Windows domains, is a big plus. Also worth mentioning is the possibility to generate individual queries, for example to have an overview of the validity of all passwords or to display the fragmentation of the operating systems/software. During the certification according to IEC 27001, the product was rated very positively by the auditors of the independent certification company in the context of our operational processes. I can only agree with this assessment and give my unreserved buy recommendation for LOGINventory. I just wanted to thank you again for your competent and quick help. This was one of the reasons why I chose your product. As a public corporation, we receive annual visits from auditors and have to submit reports on the software licenses and product versions we use, so the manual logging quickly got out of hand. We were looking for a comprehensive solution for our license management and immediately decided on LOGINventory after a short test phase because of its intuitive usability. We are glad to have made this decision: Great product, great support. With the use of LOGINventory, we are able to easily and uncomplicatedly implement the inventory of the IT systems of 10 schools in our sponsorship with 13 separate locations. We benefit in particular from the flexible acquisition options available to us with LOGINquiry and LogInject. Even before importing into the LMC, the use of individual scripts enables precise assignment to school locations or network areas. We find the structure of the main window in the LMC particularly well-suited, with it the finding of information and selection of data is reduced to a few mouse clicks and evaluations are created in a flash. It is also very advantageous to duplicate entire tree structures. In this way, we achieve a consistent structure of data storage, which we ensure for all locations with a few adjustments. We especially appreciate the fast and friendly support. The employees not only help to clarify questions and problems, but also always have the view "beyond their own nose", which contributes significantly to penetrating the overall contexts of LOGINventory. LOGINventory is a great tool that we have been using for a very long time. A quick overview of hardware and software is the big plus. Both with the investment planning, as well as with the daily support one has the information, which one needs, immediately at hand. Recently we started using LOGINventory for license monitoring and have mastered a license plausibility check.